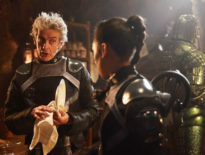 Nearly 50 years after its first appearance on screen in 1967’s The Ice Warriors, and decades after it was last on display to the public at the Blackpool Doctor Who exhibition, an original Ice Warrior head has been found in the hands of a private collector, after it was apparently rescued from a skip. The collector, who had had the prop stored in a box, untouched for 30 years, contacted Matt Doe of Toybox Treasures (dealers of old toys, merchandise, and screen-used props) to inform him that he had the head in his possession. Since this incredible discovery, the Ice Warrior head has been worked on by BAFTA award winner Mike Tucker, who restored many of the props on display at the Doctor Who Experience in London and Cardiff. Instead of restoring the prop, it was decided that the best way forward would be to preserve it, thus keeping the item as close to its original form whilst reducing the risk of the whole thing falling apart. Tucker created a stand for the helmet to reduce the need for handling and got to work. 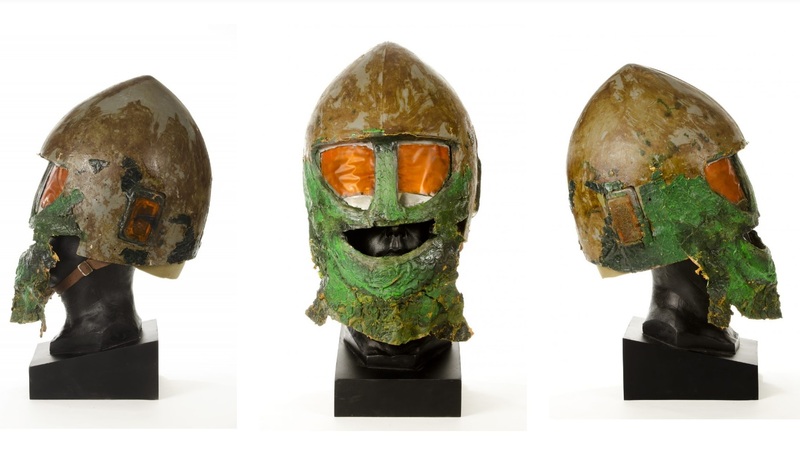 The result is astounding: a well-preserved prop to which no new latex has been added to, close to its original TV appearances – specifically, the orange-eyed version of it which appeared in The Monster of Peladon (1974) – whilst acknowledging its age. “It was a fantastic experience and gave me great pleasure in seeing how far Richard went into his research, each day showing me fantastic never seen before images, history on the prop and so much more. Without Richard this wouldn’t have been half as much fun. 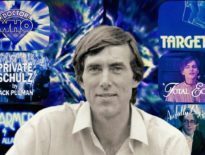 To find out more about restoration genius Mike Tucker’s work, check out the DWC’s exclusive interview with him discussing his new Doctor Who novel, Diamond Dogs. ← This Weekend: An Audience With Philip Hinchcliffe!